Busy bags are such a genius invention. Maybe not quite up there with the computer or refrigerator, but pretty close. I love that they keep kids, not just busy, but engaged and learning and my kids love how fun they are to use. I made this super simple counting and addition math busy bag for my daughter who has a new love for all things math. 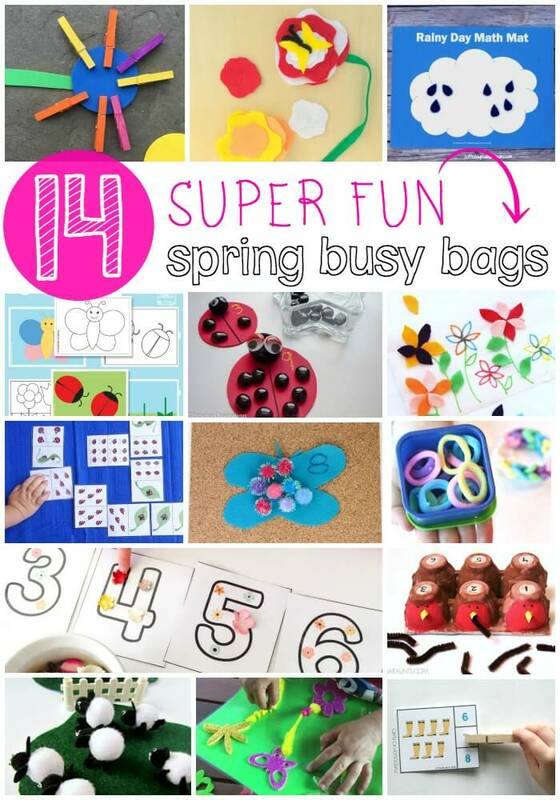 This has to be one of the easiest busy bags to create. 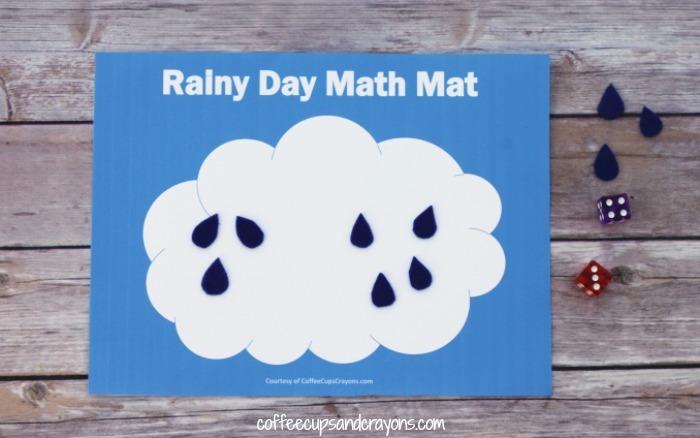 Download and print the Free Printable Cloud Math Mat for Kids. After I took the photos I laminated ours so it wouldn’t rip. If you don’t have a laminator (affiliate link) you can put contact paper on both sides of it to keep it from tearing. After the board is ready you need something for the raindrops. I had originally planned to let her make them out of playdough each time she played for extra fine motor practice, but discovered some stiff blue felt she wanted to use instead. I free cut the raindrop shapes with fabric scissors and then grabbed two dice I had purchased. She was playing at home during quiet time so she just rolled them on the ground, but you can also stick the dice in a clear condiment container the kids can shake instead of roll. It makes it easier if you want to play in the car–you won’t lose the dice! There are (at least) two ways to play with the math busy bag. 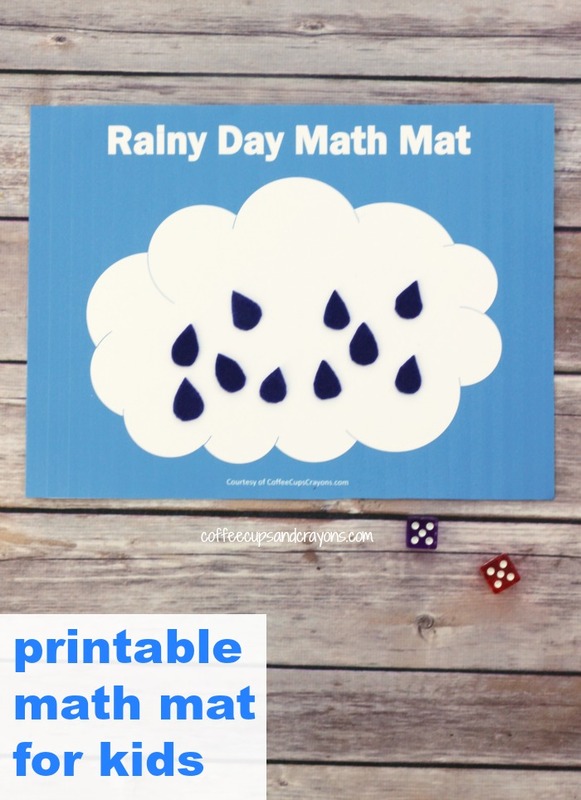 Kids can roll one die and count out the corresponding number of raindrops on the cloud. 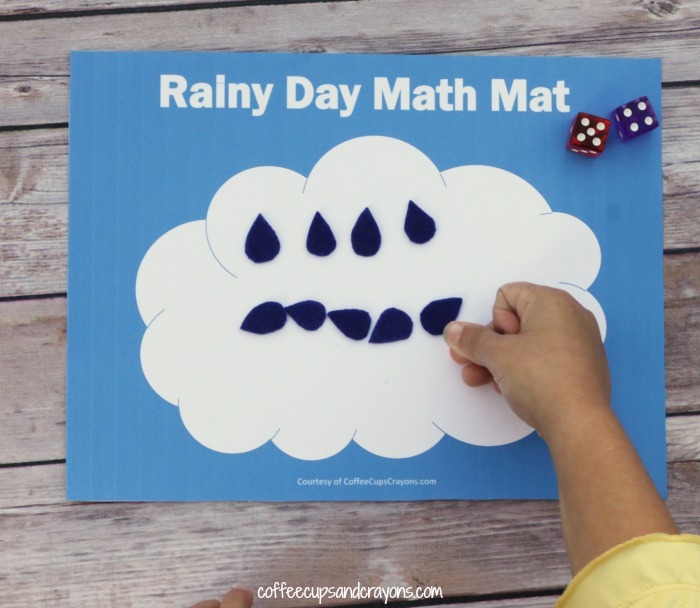 They can also practice simple addition by rolling both dice and combining the two numbers using the raindrops as manipulatives. Have I convinced you that busy bags are awesome yet? Check out all of the spring themed ones my friends have done! There are enough ideas here for you to put together a spring busy bag swap with your friends! I love this SO much!! Such a simple, fun way to practice addition and counting.